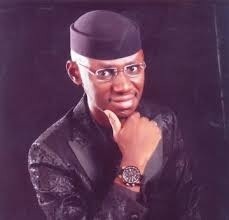 Timi Frank has called for the resignation of the chairman of the Independent National Electoral Commission (INEC), Mahmood Yakubu, over the conduct of the Osun Governorship election. His words: “We saw it in Ekiti State. We have seen it in Osun State. Democracy in Nigeria has been hijacked by demagogues. The open electoral robbery in Osun is a clarion call to all Nigerians to rise up and defend democracy in the country beginning with the demand for the urgent restoration of the mandate of the Osun people freely given to the PDP on September 22. “We must rise up to ensure that the ebbing embers of democratic governance in Nigeria, occasioned by APC’s continuous electoral banditry is not completely snuffed out. “It remains to be seen if the great people of Osun will sit by and watch as the governorship mandate they freely gave to Ademola Adeleke of the Peoples Democratic Party (PDP) on September 22 is stolen and allowed to go for good. “This is the time for Osun people to rise up and demand for their right. This is the time for the great descendants of Oduduwa to rise up and demand for the restoration of their mandate. “This is the time for all PDP Governors and national leaders to band together and fight for the sustenance of democracy in the country. “Let them realize that the Osun APC’s banditry is a foretaste of the indecent and criminal path the ruling party is prepared to toe to hang onto power in 2019. “This is the time for all Nigerians to rise up to stop the APC from taking the country back into the dungeon of tyranny and dictatorship where the freedom and will of the people will no more count,” he said. He expressed sadness that despite the presence of representatives of the United States, United Kingdom, European Union, media and other international and local observers in the affected polling units, “the APC still manifested their desperation and crudity by brazenly usurping the will of the people”.